The International Contemporary Ensemble continues its collaboration with the innovative composers of New York University, who are experts in the latest music technology. On Monday, April 8 at 8:00PM, graduate composers are featured in a program of world premieres. On Wednesday, April 10 at 7:30pm, the Ensemble presents an event featuring artists from the ICEcommons composer-discovery database. On Monday, April 8 at 8pm, the International Contemporary Ensemble performs the world premieres of works by NYU graduate student composers Fabian Beltran, Michael Seltenreich, Vasiliki Krimitza, Aine Eva Nakamura, and Michael Rose. On Wednesday, April 10 at 7:30pm, the Ensemble presents an event featuring artists from the ICEcommons composer-discovery database, Merche Blasco, Sofy Yuditskaya and David Coll in collaboration with the Radical 2 percussion duo. Guest performers include – Shelley Hirsch, Dafna Naphtali, Jess Rowland, and Margaret Schedel. “ICEcommons, a crowd-sourced index of information about new works, has become the means by which new collaborations form between emerging artists and the International Contemporary Ensemble. The Abrons Arts Center Underground is the perfect environment for the creation of eight brand new works in two free events on April 8th and 10th.” says, Ross Karre, co-artistic director of the International Contemporary Ensemble. Shelley Hirsch, Dafna Naphtali, Jess Rowland, and Margaret Schedel. New initiatives include OpenICE, made possible with lead funding from The Andrew W. Mellon Foundation, which offers free concerts and related programming wherever ICE performs, and enables a working process with composers to unfold in public settings. 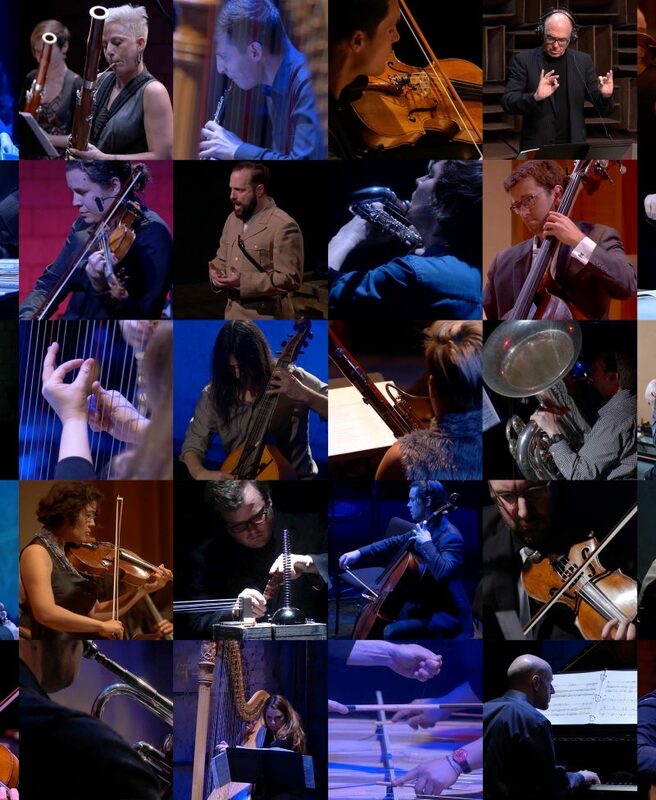 DigitICE, a free online library of over 350 streaming videos, catalogues the ensemble’s performances. ICE’s First Page program is a commissioning consortium that fosters close collaborations between performers, composers, and listeners as new music is developed. EntICE, a side-by-side education program, places ICE musicians within youth orchestras as they premiere new commissioned works together; inaugural EntICE partners include Youth Orchestra Los Angeles and The People’s Music School in Chicago. Summer activities include Ensemble Evolution at the Banff Centre for Arts and Creativity, in which young professionals perform with ICE and attend workshops on topics from interpretation to concert production. The International Contemporary Ensemble is the Ensemble in Residence of the Nokia Bell Labs Experiments in Art and Technology. Yamaha Artist Services New York is the exclusive piano provider for ICE. Read more at www.iceorg.org.